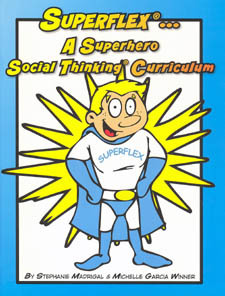 Superflex … a Superhero Social Thinking Curriculum by Stephanie Marigal, Michelle Garcia Winner, and Kelly Knopp. This entry was posted in Books for Children, Our Library, Social Skills and tagged Autism Spectrum Disorder, books, books for children, Michelle Garcia Winner. Bookmark the permalink.